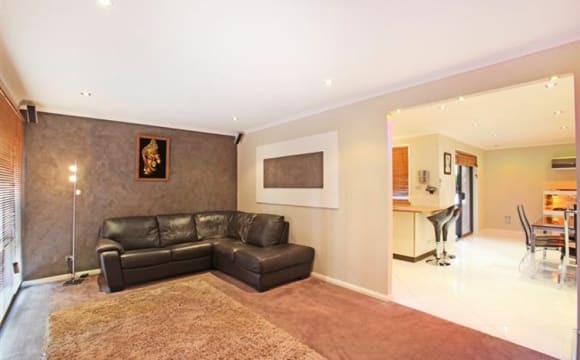 $210 pw – All you have to do is move in! 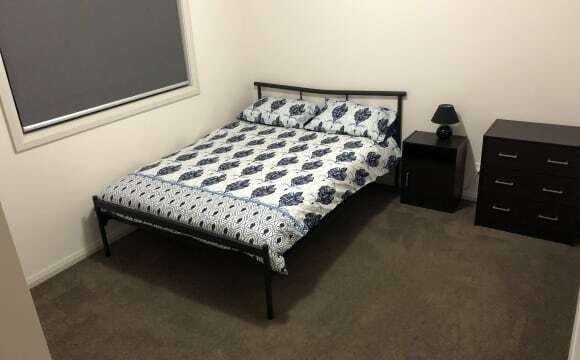 Modern, spacious, furnished, all bills included and female only shared accommodation with private bedroom in Park Central (Campbelltown). * Available now. * Minimum lease of 3 months. * No pets, no smoking. 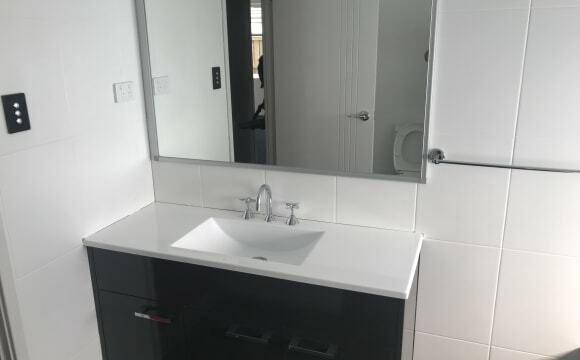 * All bills included (NBN internet, water, electricity, gas, gardening and twice a month professional cleaning) Located at Park Central close to all amenities - UWS, TAFE, Macarthur Shopping Centre, train and bus stations, fitness centres, Campbelltown Private and Public Hospitals, Woolies, Coles, Bunnings, shops, cafes', restaurants and parks. For inspection, please contact Armando. Beautifully renovated house with pool and large garden. Off-street parking, relaxed and peaceful surrounding. High speed internet and modern furnishing. Fully equipped kitchen and huge outdoor deck along the pool. Quiet cul de sac position. 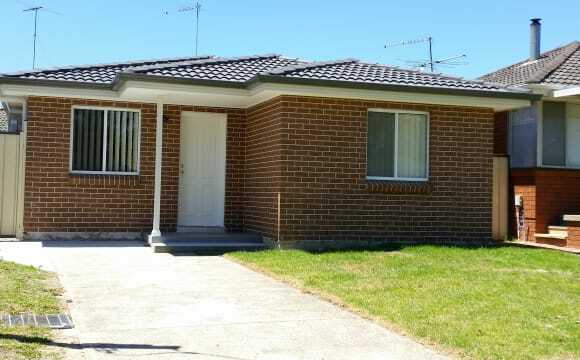 5 minutes walk from Campbelltown train station, CBD, and local parks. Fully furnished apartment with your own bathroom and bedroom with a balcony. Lounge is equipped with large screen TV and entertainment systems. Laundry with washing machine and dryer. Kitchen with all modern amenities. It’s right next to the WSU campus, walking distance to the macurthur station. Perfect for WSU students. This is a brand new apartment block and the flat is very clean, new and fully equipped with my appliances. The flat is 10 mins walk from the Campbelltown train station, shopping malls, cinema and loads of restaurants and cafes. It is a short bus ride to Macarthur Centre, UNSW and TAFE. The flat is on the 5th floor, has air-conditioning, large balcony in the lounge room and the shared bedroom. The apartment is very spacious. All you will require is a bed as the room has a built-in wardrobe. 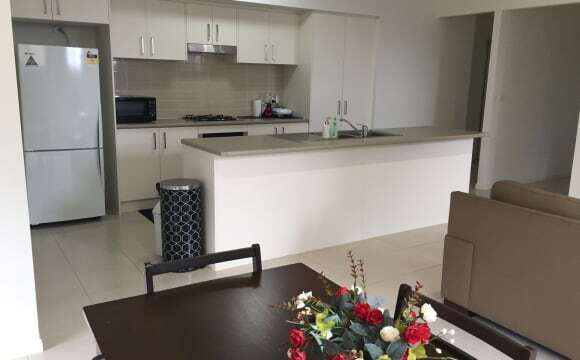 PARK CENTRAL, Good location, near transport, uni and hospitals, opp Macarthur Square. Brand- new modern fully furnished 3 bedroom family house big living/ dining room, a niceand big kitchen with all kitchen and home appliances. You do not buy any home things for camfort leaving Bedlins ,bathroom stuff will available. There is outside rest private relax area alfresko with dining table and green grass open, 2 side entrances and 2 enter doors , a big relaxing bathroom with a bath and a shower, a private/ separated toilet ,3 private cosy separated bedrooms good double size with queen size beds and full house ia full furnished .Free car spaces. Negotiation fixed price without any other charges, fees, No any Bills ! Prices are depended from number of people and term of your staying! I provide my house for any term from minimum days or for unlimited staying how long as you will need! NBN Fast unlimited Internet ,WIFI every where around. Beautiful location place is behind West Sydn Uni close ealking distance to Macarthur train station and Macarthur Square Shopping centre ! There is a big park with free BBQ soze tables, benches for rest This park is front of my house . Available now! Are you a student studying at Western Sydney University? 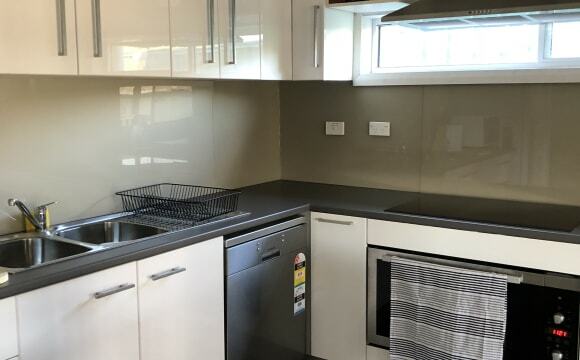 Enjoy your own fully furnished, self-catered room at Western Sydney University Village, Campbelltown! 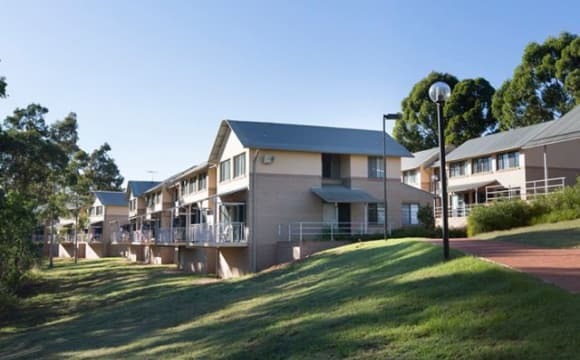 Western Sydney University, Campbelltown Village offers a range of stylish apartments, located right on campus at Western Sydney University. From studying to social life, we offer everything you need to make the most of your university experience! We have a range of apartments from Studio's all the way up to a 5-bedroom apartment, the choice is yours! 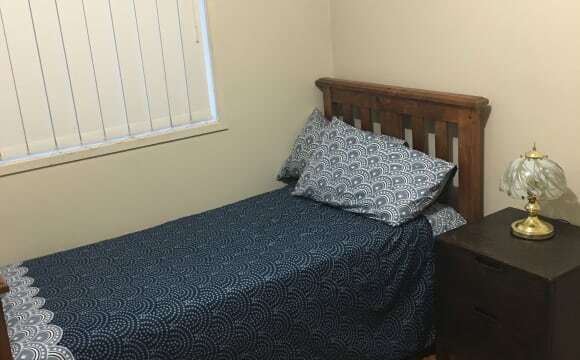 Room in a fully furnished apartment or townhouse Free internet for Western Sydney University students TV Lounge Student Lounge Study room Laundry 24 hour support and security Rent includes all utilities (water, electricity and gas) so there are no unexpected bills during the year! Make your application ASAP to secure your place in our vibrant and lively on-campus culture! I have set the available date in August however please let me know if u need to move in sooner and I’ll try and work out something. I live in a Modern 2 Bedroom 2 bathroom Unit on Level 3 with big balcony off lounge room. Bbq on balcony with outdoor lounges to relax and enjoy the outdoors. Big corner lounge suite with home theatre surround sound and Foxtel on my 65” TV in lounge area as well as split system air con. I currently don’t have internet as I use my hotspot from my phone however if you would like broadband and are happy to go half in the bill I would be more than happy to get broadband. Small but modern kitchen including dishwasher, separate internal laundry with front load washer and dryer available as well as free standing clothes line to dry clothes on as well. 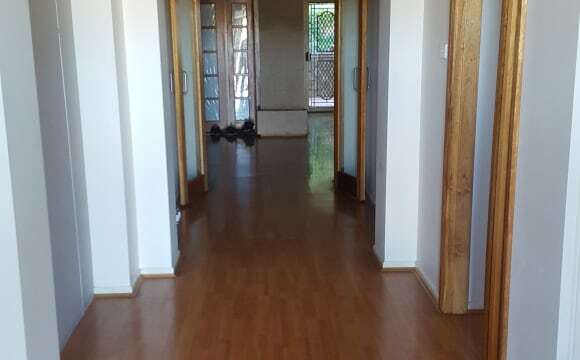 Carpet throughout and tiles in foyer entrance, bathrooms and kitchen. You will have ur own room and own bathroom all to urself. Im looking for a roommate to live in the house im renting. There is 1 room available for $200 pw all bills included. The room has 2 doors one internal and 1 that is to the backyard. The room is available from the 11th April. There is a shared bathroom with a washing machine and dryer. Full electric kitchen and r/c air con. The house is 10 min walk to Leumeah and Campbelltown stations. Great location, super convenient, nice room mates and nice neighbours. safe and secure, you can be as private as you like or mingle with other housemates. very clean, newly renovated, wardrobe included, bed included if needed. new kitchen, new bathrooms, air conditioning and internet. Bills included. 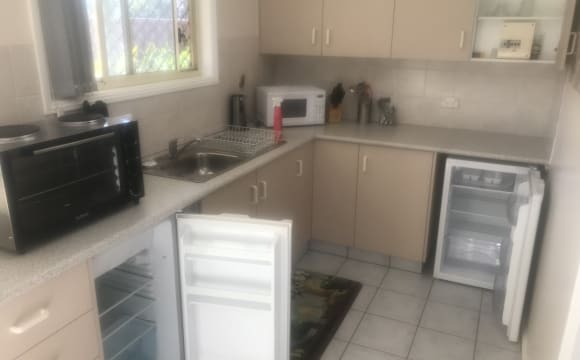 This house is close to work , has a nice back yard, spacious lounge ( furnished) Free foxtel, free electricity, own fridge if need be, clean, If your looking for a place to save money, have no one hassle you and work then let me know. The property is in a quiet location, fully renovated also fully furnished, all kitchen ware supplied and washing machine and dryer provided. All rooms are air conditioned, have smart televisions, USB powerpoints, electricity and internet included in rent. 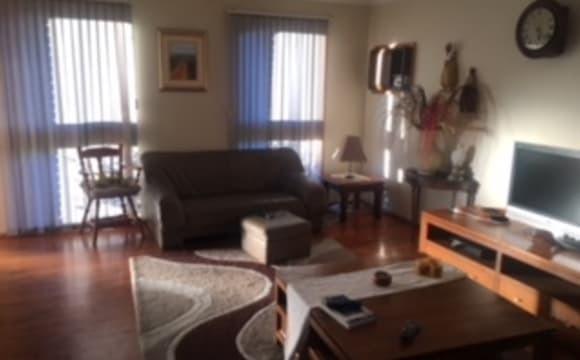 Hi, Private Grannyflat(No flatmates) to let in the quiet area of Bradbury 1 minute walk to bustop, 15minute walk to bradbury shops and pub, 5 minute drive to campbelltown Mall with its own kitchenette, bathroom, lounge room and 2 bedrooms. Private Washing machine and Fridge availble. also has a swimming pool and lawn area. Furnished room with freshly painted walls, good condition drawers and bed in a house-share available now. Located 5 drive to Macarthur, 2 minutes drive to Local shops Very relaxed and friendly environment. Offering electric cooking facilities, internal laundry with washing machine. The place is quite , tidy and clean. The person must be responsible and respectable. Available now. 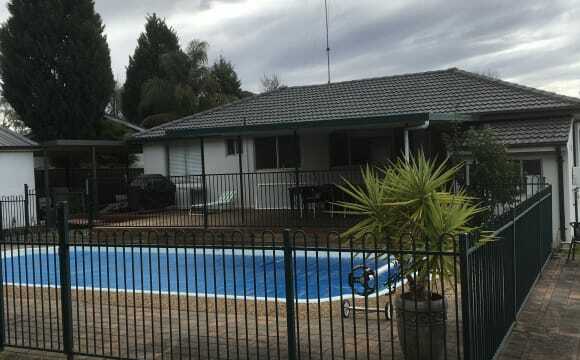 hi have fully furnished granny flat in leumeah 300 a week includes electricity, water and internet fully contained. This property has a good price which includes a fully furnished bedroom (double bed, TV, built in wardrobes and standing fan/0. The house has a shared kitchen and bathroom which is maintained by the landlord . Power, water and unlimited internet is all included in the price. 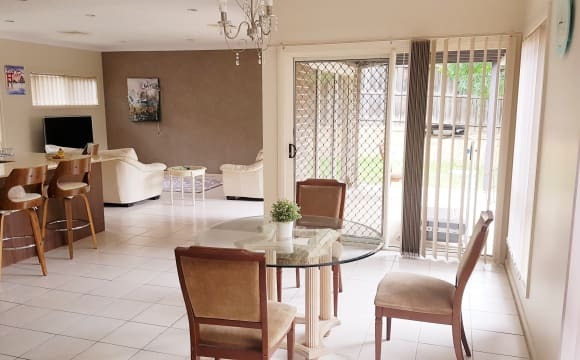 Modern 4 bedroom house, great kitchen, surround sound in living area, air conditioning, Foxtel connected, fully landscaped yard, awesome entertaining area out the back with BBQ.....GYM all set up for use....Its a clean fully furnished house that you have full use of. Looking for a housemate/s that is easy going, clean and tidy (happy to help/share the cleaning) that we can have a conversation with and get along with. Security is taken care of via alarm system, with roller shutters on every door and window. The actual bedroom available has built ins, and a tall boy etc....all you would need is a bed and your clothes really. Located at Eagle Vale.....there is a bus at front door, Shopping Centre (Eagle Vale Marketplace) just up the road, and very close to to Macarthur Square. Off street parking is also available. Rent is $210p/w plus share of elect and water. If this sounds like something you might be interested in, please feel free to contact me via return email. the House is new and very clean. 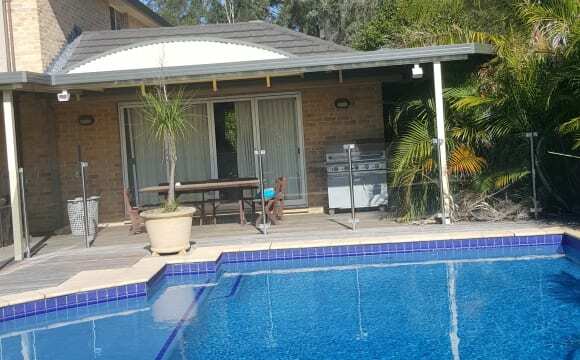 The property is nice and light and is close to both Minto and Leumeah stations (there is a bus stop nearby too). Minto Mall and Campbelltown aren't too far away either. Message me if you are interested! Ducted Airconditioning, peaceful area, walking distance to Gregory Hills Town centre, Bunnings, gym and much more, bus available to Campbeltown station and other areas . The house is fully furnished and kid friendly. Smoking is allowed outside only and away from kids. Full access to fast internet. New house in a new suburb. The house is in a quiet area of Rosemeadow. Just 200 metres walk to bus stop (buses goes to Macarthur station, Campbelltown station, Macarthur Square &amp; Wollongong city). 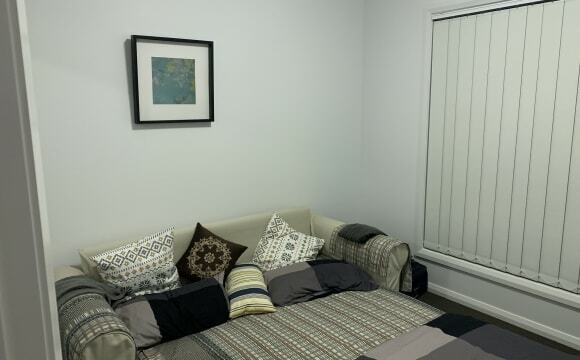 8 min drive to Western Sydney University, Hospital, Macarthur Square &amp; train stations. Just 2min drive to Rosemeadow Marketplace where you can find Woolworths, Pizza Hut, McDonalds, Chinese take away, Kebabs, Chemist and many more. The house is clean, bright &amp; airy, have two living rooms with each has split system air conditioner &amp; big backyard. Safe on street parking right at the front of the house. There's full kitchen, large fridge, microwave, dishwasher, kettle, toaster, rice cooker, washing machine, TV, all are free to use. The room have bed, mattress, blanket, pillow, study desk &amp; chair, timber flooring, built-in wardrobe. Smoking is allowed but strictly outside. No pets allowed and is not a party house. Electricity, water &amp; unlimited NBN are included, no more to pay.